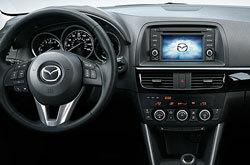 Reliable Mazda is your trusted Springfield resource for reviews of the 2013 Mazda CX-5. Reliable Mazda stands out from the rest of the pack with products and services designed to assist you in your search.These well-written reviews will help you do just that. Each passage is crammed with worthwhile information and specs- everything you need to make smart decisions on your next vehicle purchase. Get started by reading the full review or watching the video. What are you waiting for? 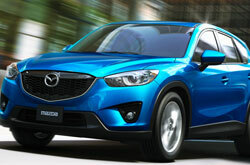 Find your CX-5 now! Check out the 2013 Mazda CX-5 to versus similar autos like the 2013 Toyota RAV4, Chevrolet Equinox and the Volkswagen Tiguan, and you will discover that the 2013 CX-5 outshines those vehicles in numerous areas. Pay attention to the reasons see why! Reliable Mazda's car repair squad have served Springfield for years with wonderful workmanship and trustworthy Mazda parts. Your Mazda will stay in staunch physical shape with maintenance from the expert auto repair squad at Reliable Mazda's service facility. In addition to tough jobs like shock and strut maintenance, we manage less time consuming stuff like timing belt checks - and this is barely a fraction of what we handle. Also come see us for windshield wiper replacement, common oil changes and more. Reliable Mazda is your surefire destination in Springfield for fast, professional Mazda CX-5 repairs and regularly scheduled maintenance. When you visit Reliable Mazda's service department, take advantage of outstanding savings with our unbelievable specials. Click under this text!